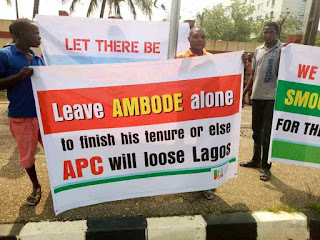 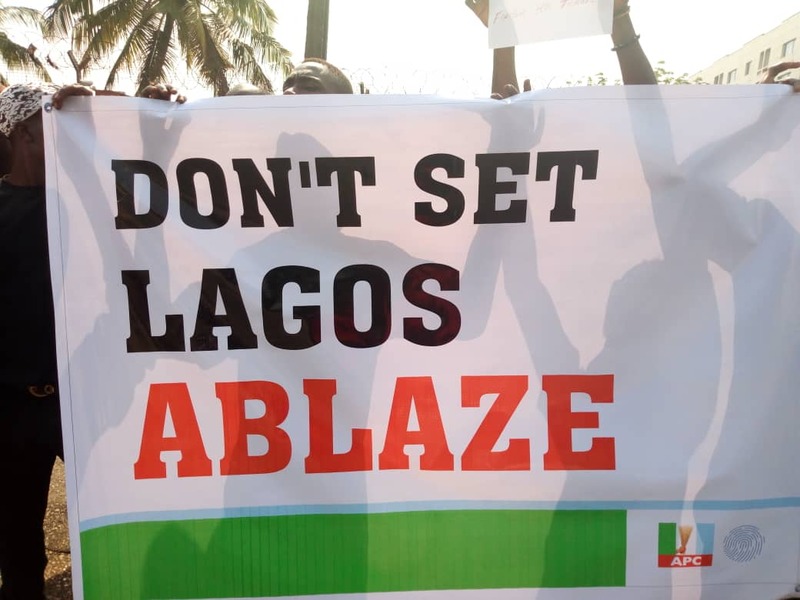 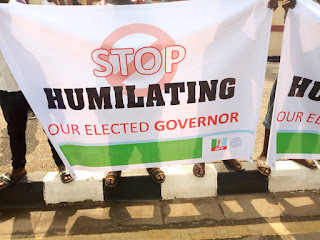 Some residents of Lagos state are currently in front of the state House of Assembly, staging a protest against the planned impeachment of the state Governor, Akinwunmi Ambode. 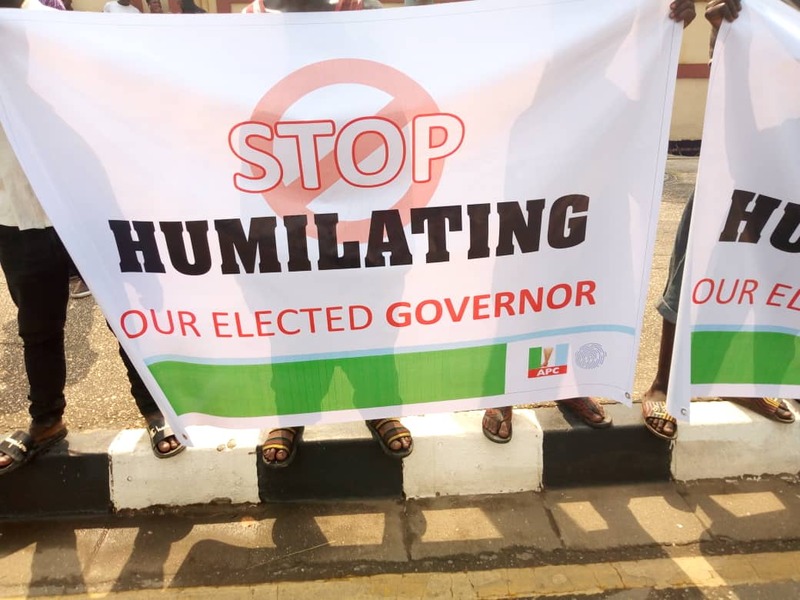 Recall that on Monday January 28th, the state Assembly members accused Governor Ambode of gross misconduct, not signing into law the 2019 budget among other infractions and have threatened to impeach him. 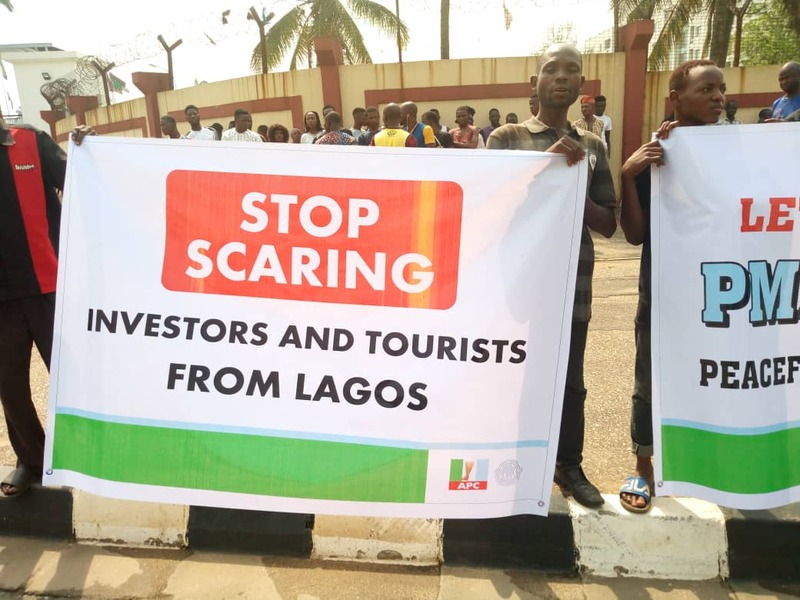 These group of protesters are demanding that the planned impeachment be shelved by the lawmakers.